Have you been considering upgrading your task chair or thinking of buying the Steelcase Leap chair? Our comprehensive Leap task chair review gathers together critical information and insights from across the web. This puts everything you need to make an informed decision at your fingertips. You have product data and real user reviews available below, not biased opinions so that you can find the right chair for you. 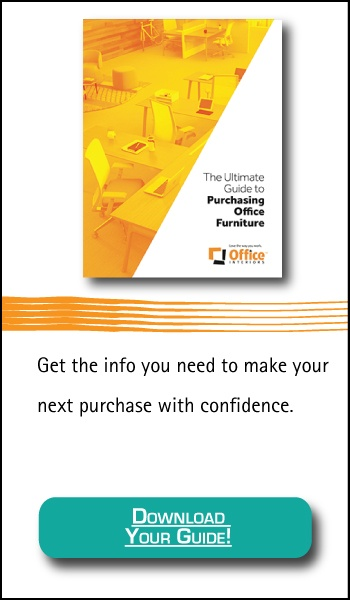 Our experts work with you to find the right chair for your needs. Even though we sell task chairs, we haven’t let our opinions influence our review of the Leap chair or any of our other task chair reviews. While most Steelcase chairs are small, sturdy, and comfortable, the Leap task chair puts the focus on ergonomics and comfort. The Leap is one of the best, and most comfortable, options available in the Steelcase family. The Leap uses Steelcase’s Liveback technology to mimic the natural shape of your spine for comfortable sitting. The Livelumbar technology that comes with every Leap chair flexes as you move to provide support regardless of your position or posture. The Leap provides a wealth of options to customize your chair including an optional stool, a WorkLounge version, an optional ottoman or table, and adjustable lumbar support. You can relax in a deep recline, sit fully up, or find the right working position somewhere in between. You can select an adjustable arm feature or choose no arms for the chair. The fabric for the Leap comes in a range of colours, as well as a leather or vinyl option. Steelcase offers a limited global warranty for their products. In North America, this is a limited lifetime warranty that extends to 12 years for most parts on the chair. Many reviews note that the seat is on rails that slide as you move. This lets you easily lean forward as you work or reach for something on the desk without fighting the chair. While this seems like a small, simple addition, it makes work easier. The solid construction, a hallmark of Steelcase products, means that your Leap chair will last. You can expect many years of use out of the chair with minimal upkeep. The maintenance problems that are common with some chairs don’t often occur with a Leap chair. According to most Leap chair reviews, the back and lumbar support for the chair are fantastic. The Livelumbar technology and Liveback feature are very effective at letting you move and work while continually providing the backing you need. You quickly forget the chair is there, which is how you should feel in a chair. You get to end the day with fewer aches and pains than other chairs. Many of the reviews we compiled note that the metal parts and pieces in the chair will squeak and sometimes grind over time. There are very few, if any, reports of core parts breaking. Many users will keep WD-40 or another lubricant on hand to eliminate the squeaks when needed. Some Leap chair reviews do report the arm of the chair breaking. The mechanism inside the arm will sometimes start slipping or give out, leaving you with a collapsed armrest. With a little work, the armrest can usually be repaired, but it is something to keep in mind. The arm feels like an older design, according to some reviews, as there are better designs on other, newer chairs. Steelcase is known for the solid, heavy construction of their office furniture. Steelcase chair reviews commonly report chairs surviving falls, crashes and worse. The Leap is no exception. This chair is heavy, and it can withstand almost any use. To cut back on weight and keep the chair manageable in offices Steelcase includes less padding on the seat than is found in other chairs. The padding is solid and generally comfortable, but it can hurt when used for extended periods. You’ll want to move and shift in the chair to keep from getting sore. 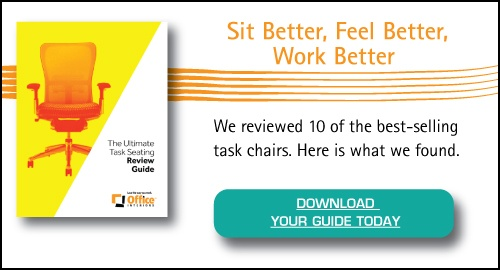 Looking for reviews on other comparable task chairs as well? We’ve compiled them all in one convenient spot, take a look!